All Simulaids ALS trainers with ECG capability require the use of Training Cables for defibrillation in conjunction with hands-free pads. 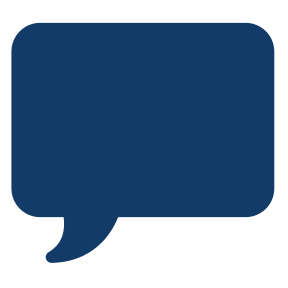 Simulaids offers training cables with unique cable ends for use with the following defibrillators: Zoll, Philips and Medtronic Physio Control Quick Combo. 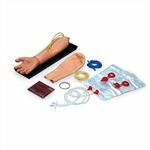 The training cables are designed to be used with Simulaids Arrhythmia Simulators, Manikins and Chest Posts. 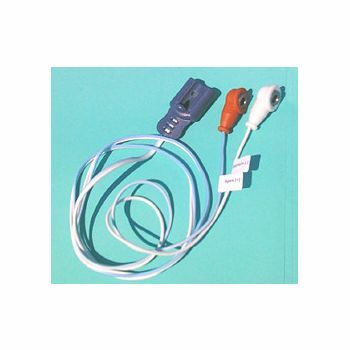 The Training Cables replace your patient use hands free pads to eliminate the continuing cost, sticky mess on the manikin, and the poor electrical contact of pads to small defib locations. If your defibrillator uses snap-on patches we also have the adapters you need to eliminate the use of the patches. Training cables are not recommended for use with any non-rechargeable battery AED. 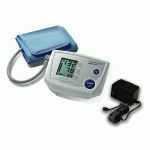 This includes FirstSave, HeartStream, and Medtronic Physio Control with non-rechargeable Lithium Batteries. 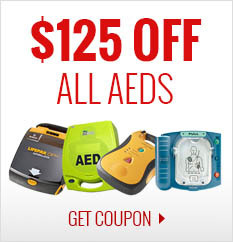 Cost of replacement batteries for the defibrillator will quickly equal the cost of an appropriate training defibrillator. Manual (Paddle) Defibrillator users please order the #053 adapters listed below for use with Simulaids Arrhythmia Simulators and Manikins.